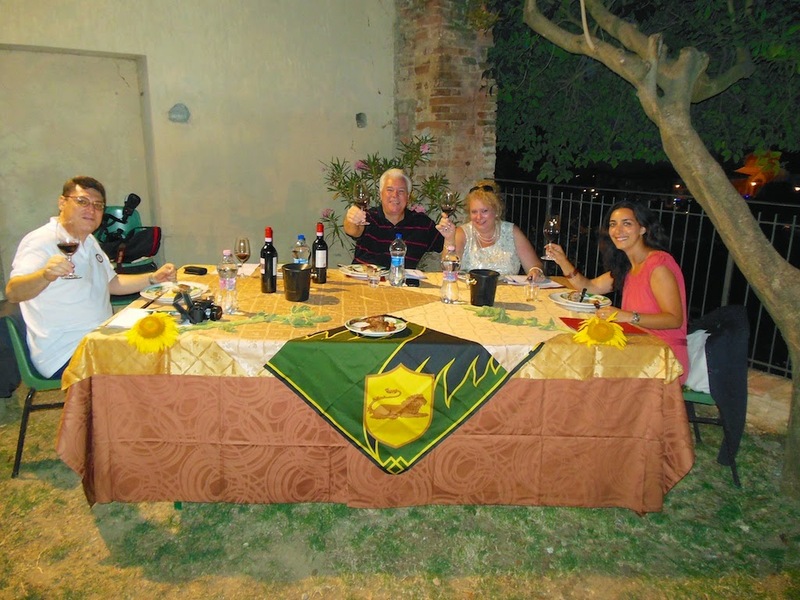 We were honored with an invitation to be judges at A Tavola con Il Nobile in Montepulciano, Tuscany. Our “job” would be to taste foods created by chefs at eight different contradas (divisions) of Montepulciano with select Vino Nobile wines over two days. To top it off, we were thrilled to learn that this year’s main ingredient would be duck (locally called Nano), one of our favorites. The trek from Denver to Rome via Detroit was smoother than one could imagine. Considering that Detroit was actually in bankruptcy, we were concerned about changing flights there. To our surprise, the Detroit airport was modern and loaded with restaurants, bars and shops. The flights took a combined 16 hours and when we arrived in Rome the next morning, a friendly man named Guido of Etruria Tours greeted us. After gathering up three other journalists who flew in from other US cities, we boarded Guido’s Mercedes van for Montepulciano. The ride took just a little more than two hours.